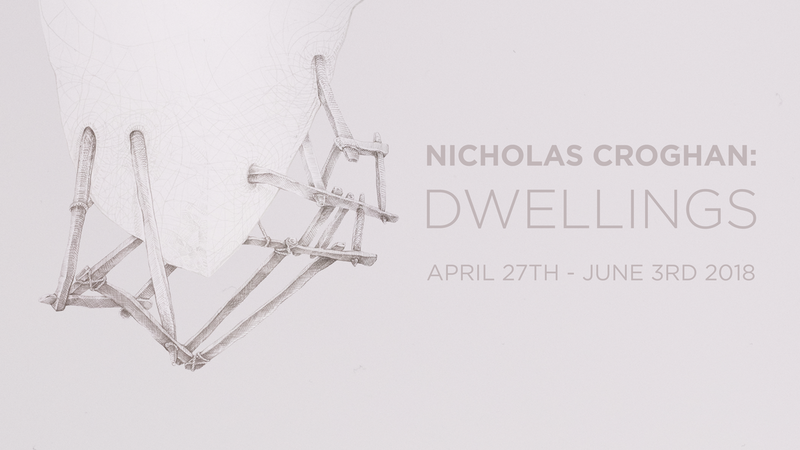 "Nicholas Croghan presents a series of metalpoint drawings that depict the history of four metaphorical civilizations. The drawn records on display illustrate the incomplete story of the cliff dwellers, forest dwellers, sea dwellers, and sky dwellers. The work shown is primarily done in silverpoint, copperpoint, brasspoint, nickelpoint, and goldpoint." More images from the exhibition can be found here.